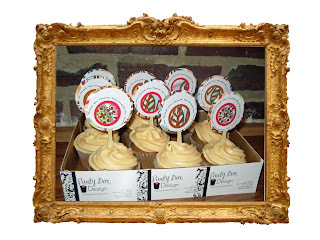 Party Box Design: Yummy Cupcakes! The cupcakes were a hit! The nurses at Mercy LOVED them! Is there anything yummier then carrot cake cupcakes with cream cheese icing? Perfectly Fall!